Guess what happened last night? ADD ONS WERE REVEALED!!!!!!! Holy smokes they are gorgeous. This is for the October kit. If you haven't been over to the add on thread you better get over there before everything sells out. Our November kit isn't far behind,so stay tuned. We will be revealing our September and October kits together. When I know the date I will pass it along. 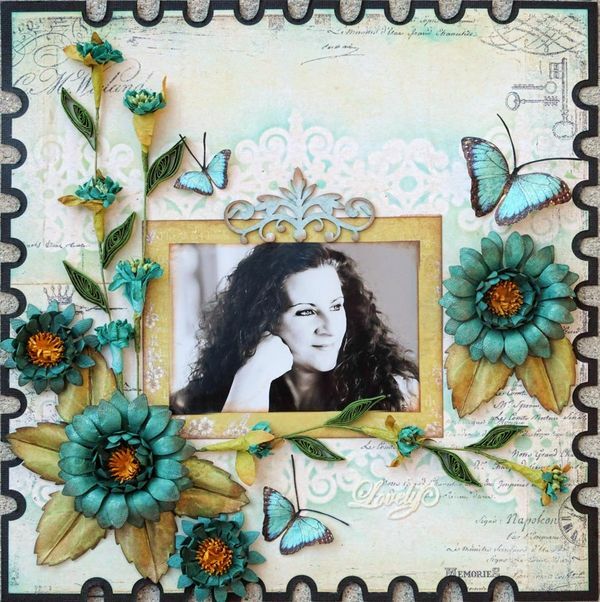 Our SwirlyHues Challenge is getting some beautiful entries. You have until the 10/10 to get your entries in. 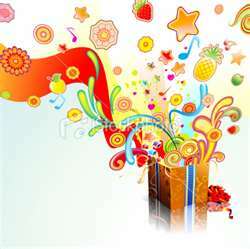 Remember that we have a prize valued at $67 to the 1st place winner. Our other challenges are winding down and others are going to start up. We are a busy bunch! Oh, and Happy World Card Making Day! Lots of festivities taking place over the weekend all over the web. 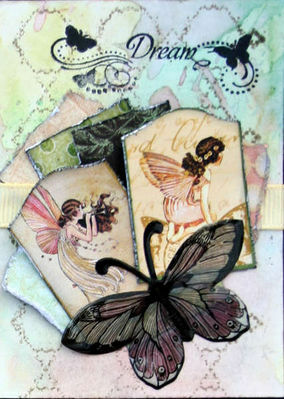 Have you tried the new Ingvild Bolme chalks from Prima? I have. And I must say that they are fantastic to use. Not only do they have a rich colour and a firm surface, they are perfectly shaped to fit your grip. The Swirlydoos store carries multiple different colours of these chalks. Check them out! October is just around the bend and so is the witching hour!! We love All Hallows Eve..And we love this Gorgeous creation by Kathy aka Thelma.We waited in anticipation when Kathy posted that she was hunting for miniature Halloween things for her Configurations Box. My oh my, we didn't expect THIS!! A Fantastic collection of all things Halloween!! The 5 little pumpkins sitting on the top reminded us of this cute little poem...We just had to post it. That is the cutest (really adorable) skeleton ever!! The collection of bones and all things fall is just darling! I hope you sent this to Timmy, cause if you don't we will!!! This Halloween Configurations Masterpiece deserves a Spotlight on his Blog!! We will insist!! This has been an exciting week at Swirlydoos. Wanna know why? Do ya? Because our luscious September kits have been finding their way to door steps and front porches all over! We won't talk about the poor postal workers who were stalked and then knocked over in the pursuit of the "box". Let's just keep that part quiet. I would like to wish a small "gang" of savages well on their get together this weekend in North Carolina. A mini Swirly Camp is taking place!!! We have such a great community of ladies on our forum. Have a fabulous time and pour a glass for me!!! 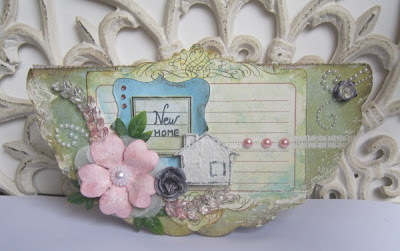 We have an awesome Gesso tutorial that Paulien posted in the tutorial section, and our monthly challenges and our SwirlyHues challenge are looooooking g-o-o-d! Stop by and check them out! Have fun with your kits!! The September Kits are arriving daily to our subscribers.....totally worth the wait, ladies!!!! Not a subcriber, no problem!! Anyone can play!!! 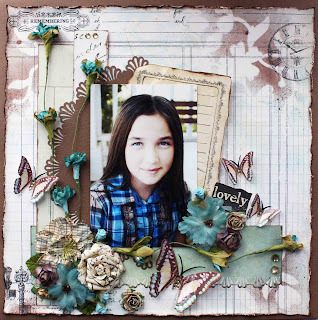 Here is a page I created using the September Kit, Rendezvous. Using the sketch and hues, this page was cake to put together. 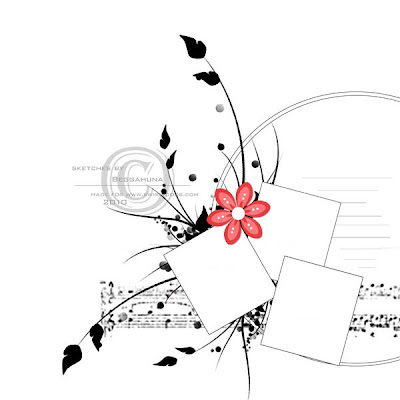 2) You must use the sketch provided. 3) Now for the Swirly-fying element – you MUST use one of our tutorials on your page. Here is a LINK to our tutorials. You can choose anything your beautiful, creative heart desires. 5) Upload your gorgeous creation to the SwirlyHues album in our gallery no later than midnight eastern time on October 10th. Click HERE to get there. You will need to register to upload photos. It's free! Use the following format to name your item: SH Sept 2011 (insert your project name here). Your photos can be no larger than 600x600. 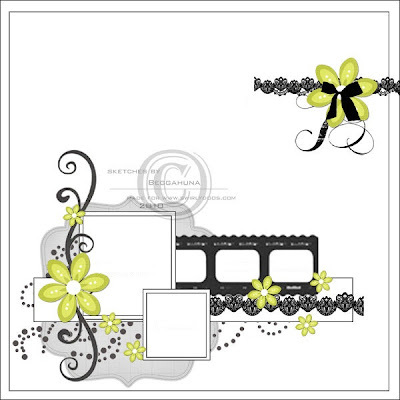 In the description please tell us what tutorial you used and a link to your blog post. 7) The next challenge will be uploaded to our blog on October 10th! For our inaugural kick-off party we're giving away, in addition to our smokin’ blog badge, a Trish Ladouceur Class Kit from the Swirlydoos exclusive class she taught at CHA in Chicago to our 1st place winner! A $67.00 Value!!!!!!!! they made some amazing cards!!!! This card was made with love, that is obvious. We love your take on the sketch Cheryl!!! Next up is this weeks entry from our lovely Peggy, who hit a record last week. A beautiful masculine card. Awesome distressing and those pocket watches are sooo cool!!!!! Use the sketch as a guide and Have Fun!!! upload your card in the Swirlydoos Card Gallery before next Tuesday and we'll be happy showing your cards here on the blog, next Tuesday. I would also like to take the opportunity to tell you..... that there are some AWESOME NEW tutorials posted in the forum. So grab a cup of coffee and Click HERE to see for your self. Flowers - Medallions - a Gesso class....too much to mention. Really you don't wanna miss out on them. 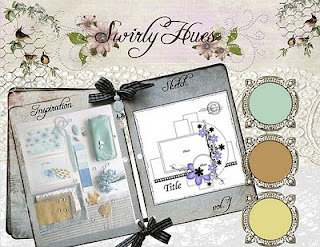 And what's so cool about it, beside learning a new technique, is that there are even more tutorials to choose from, for using at your SWIRLY HUES pages. This week we bring you the beautiful work of Bonnie Friesen. She scrapped the photo of her beautiful Great Niece's. There are a few wonderful techniques in this LO that just leave us inspired. 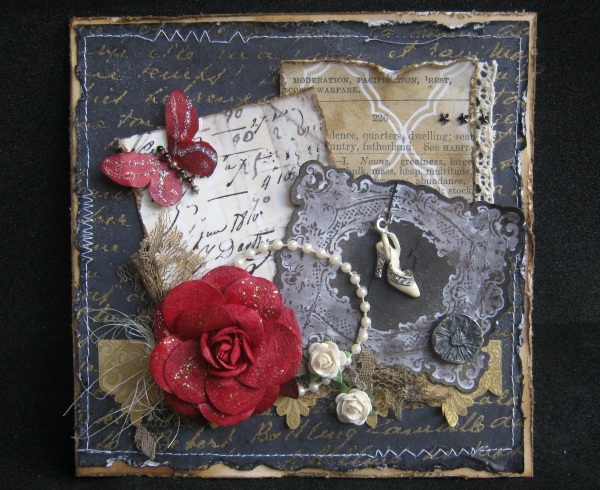 The gorgeous Dusty Attic Foliage Bonnie used Distress stains and Rock Candy Distress Stickles. The stains are rich in color and the Stickles leave the piece with a wonderful sparkle. Krissy opens up those DA special orders now and then . You have to jump on it and get some!! For the title chipboard she first painted it with an acrylic antique white, then splattered Rangers Espresso paint with an old toothbrush, and then splattered some green Distress stain. When that was dry she put a thick layer of Glossy Accents on top. You cant buy that in a store!! But the special part about this LO are the flowers...Bonnie took off of some of her mom's many silk flower arrangements after she passed away. She explains that it is nice to look back a see little pieces of her here and there. How sweet is that!! 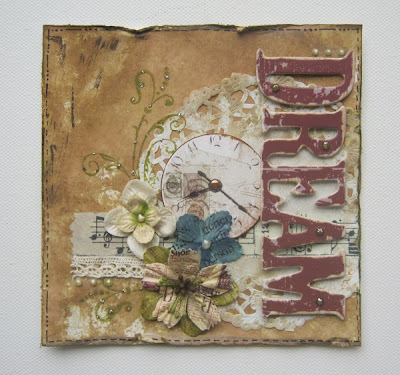 We just love this LO Bonnie...Fantastic page!! 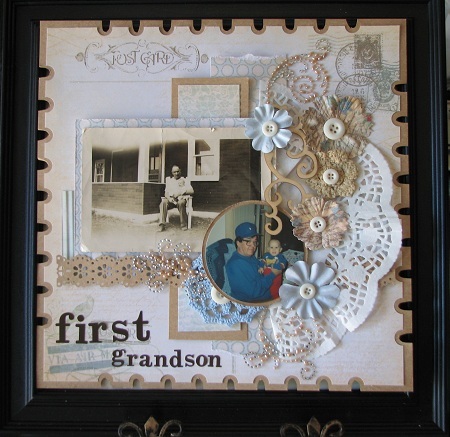 This beautiful page was created by one of our members, Connie. She was so happy with it that she already framed it! LOL We LOVE it Connie! This was done by our DT member extraordinaire, Lisa Gregory. She is using our brand new September kit, Rendezvous! Hot! *sizzle noise* Isn't she beautiful? MWAH! Remember, we have one hell of a prize for the 1st place winner of our inaugural challenge! It has a $67 value! Guess what savages? CNS's started going out this week to subscribers!!!! I just have to tell you that when you open the box, you will agree with me that it was more than worth the wait! Like LisaV said about the September kit...O.M. "effing" Godness!!! I peeked into the Swirlydoos store!!!! The store is Prima heaven! 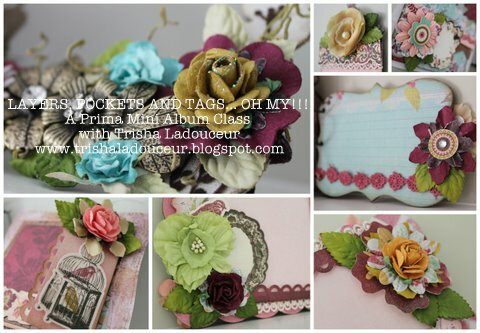 Have you seen all the beautiful stuff that our dear Krissy has added to the store? Do not miss out on all this gorgeousness! Finally the word is out, SWIRLY HUES is a fact and we are all so very excited about it. And how about that AMAZING prize package and those STUNNING badges!!!!!! We are looking forward to see your pages. Now on to another Blog Inspired Card challenge post. 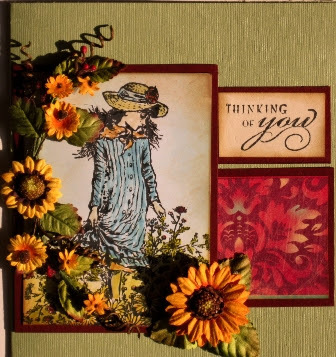 This past week, one of our members, Peggy created a BEAUTIFUL card. 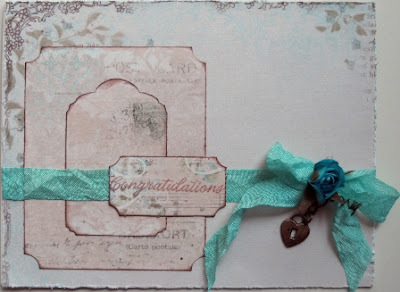 A lovely way of delicate distressing and sweet layering, finished with a gorgeous bow and vintage dangling. I hope you will be inspired by the sketch and I'm looking forward to see your cards. Remember to post your card in Swirlydoos Card Gallery before next Tuesday. The rules...... Use the sketch as inspiration and HAVE FUN!!!! We thought we would forgo the usual layout of the week post, and give everyone a chance to comment or offer prayer on today's Memorial...As Americans, we must never forget what our Country has gone through in the last 10 years. For those of us who knew someone closely connected to that day, our prayers are with you and their families. Welcome to our SwirlyHues kick-off party!!!! We are off-the-hook excited this morning to bring to you our newest Swirlydoos creation, SwirlyHues!!!! We love all of the color challenges out there and wanted to create one of our own with a Swirlydoos twist! We are going to mix it up a bit so fasten your seatbelts! Each month the hosting Swirlydoos Designer will decide if you get to work with 3 colors or, shades of one and we go monochromatic! We have some of the best tutorials on the planet and decided that to truly make this a Swirlydoos event you will need to choose one of our tutorials and use that on your page. Easy Peasy Lemon Squeezie! Here is our first challenge storyboard! That’s it for the rules now go get creative and have FUN!!!! YAY!!! The weekend is coming! The weekend is coming! This challenge is for ANYONE, not just subscribers! How great is that? The grand unveiling will take place at 8am eastern standard time. Come on over and join in the party, swirly style!!!!! Ok...I confess...I am a bling girl. 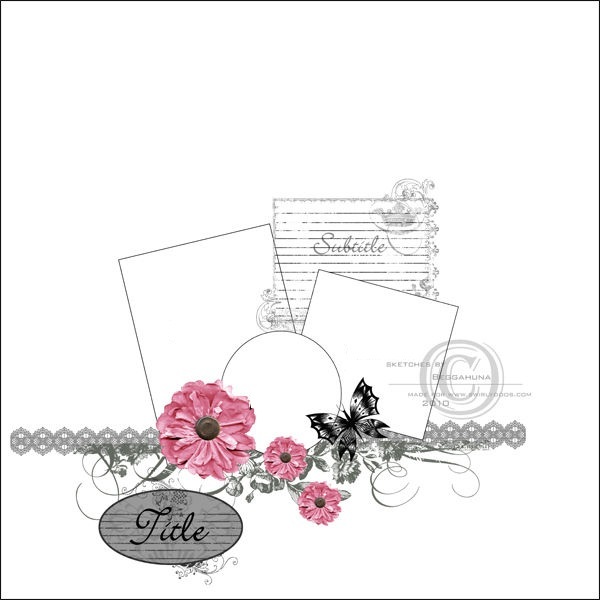 I looooooove to use bling swirls and rhinestones on my scrapbooking pages. It really doesn't matter what colour. They sort of give a final touch. Fortunately the Swirlydoos store carries bling. This gorgeous crystal swirl from Prima for example. We love Rae's beautiful punchwork and flower cluster!!! And of course the adorable photo of Rae and her new bundle of joy! Are you having a hard time making cards? Then come play with us!! Our Blog Inspired Challenge, can be just, *that little push in the back*, we sometimes need. Every week we post a sketch, of which you can work from. you will see your card being posted here on the blog. 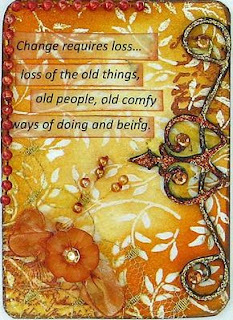 Today, I'm very proud, to share this Gorgeous card, Peggy created. Look at that darling and perfectly stamped image. The coloring is Brilliant! And the sentiment says it all: Thinking of you. That is why I love cards so much. Just to let someone know, that they are in your thoughts. "I guess you were expecting me," he said. "No, who are you?" said the father. I figured you knew I was going to show up." "Oh yeah, the chair," said the bed ridden man. "Would you mind closing the door?" Puzzled, the minister shut the door. "But all of my life I have never known how to pray. At church I used to hear the pastor talk about prayer, but it went right over my head. I abandoned any attempt at prayer," the old man continued, "until one day about four years ago my best friend said to me, 'Johnny, prayer is just a simple matter of having a conversation with Jesus. Here is what I suggest." "Sit down in a chair; place an empty chair in front of you, and in faith see Jesus on the chair. It's not spooky because he promised, "I'll be with you always." Then just speak to him in the same way you're doing with me right now." Two nights later the daughter called to tell the minister that her daddy had died that afternoon. "Did he die in peace?" he asked. "Yes, and when I left the house about two o' clock, he called me over to his bedside and told me he loved me and kissed me on the cheek. When I got back from the store an hour later, I found him dead. But there was something strange about his death. Apparently, just before Daddy died, he leaned over and rested his head on the chair beside the bed. What do you make of that?" The minister wiped a tear from his eye and said, "I wish we could all go like that." I know some of you may think that this post is very sad..But it is not. It is uplifting. When Peggy told us of the story behind the 2 chairs, and her cherished trips to Aruba with her husband, I was saddened to think that their final wish didn't play out...And Gods plan is never known to us while we are here in the flesh. I though of this story. Peggy, thank you for sharing such an intimate part of your life with us. We chose this Layout not only for it's beauty, but for the glorious photo that has so much of a story to tell. It is your story, and we could only speculate what it is. Each layer could be a different chapter in your lives. The map were your worldly travels. The flowers, were the beautiful visions you both saw. The 2 chairs on the beach...contentment...And in the end, that's all that matters. During those glorious times, you were both content. Thank you for the vision in this wonderful LO. It is beautiful. Big, Bigger, and even Bigger news to share with you! 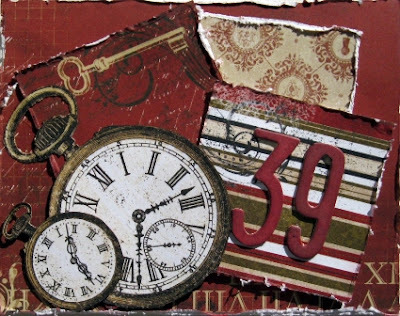 Have you been paying attention to our count down clock on the right side? 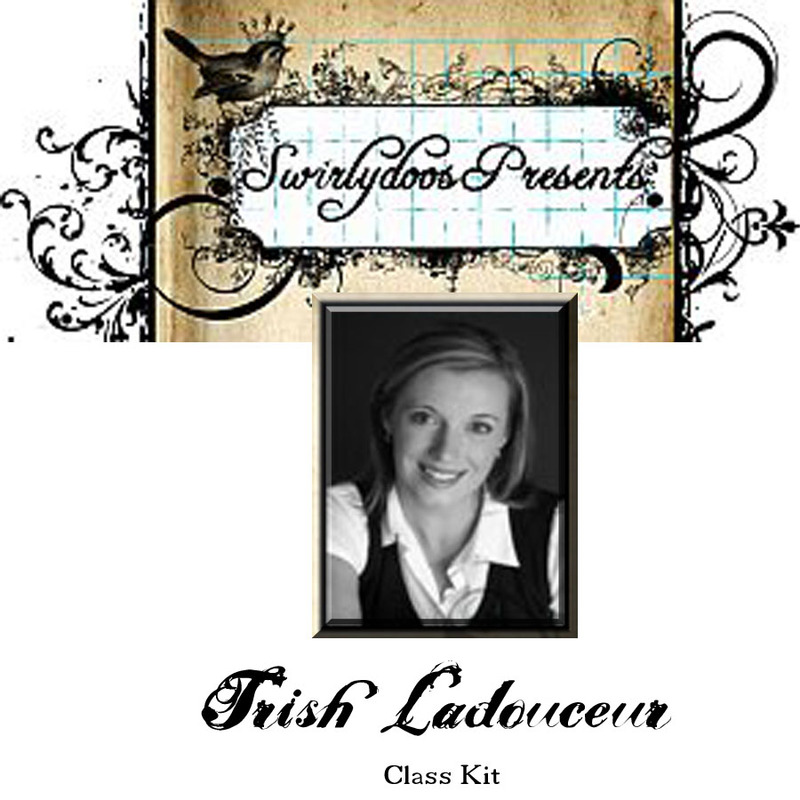 We have only a week before we share with you something new at Swirlydoos. We are really excited. The Design Team has been working really hard on this (I've chewed my nails down to nothing!) and it truly has been a collaborative effort. Before we go to far though, I think you should know that this is all because Robin had a dream! LOL It's true. This "something new" is because Robin has been wanting this for so long and we finally got to working on it. Thank you Robin for being persistent! Since we are all working really hard for the unveiling of our big news, our September Kit Blog Hop will go on the back burner this month, but you can count on October's Blog Hop to take place as planned! We have really enjoyed and appreciated your support during our blog hops these past few months and hope that you will mark your calendars to be here next Saturday, September 10th to share our news with us!!! Have you ever involved yourself in an ATC swap, or entered into an ATC challenge? I know I have. Then I find myself addicted to making those little cuties! I've used baskets to keep all of my treasured ATCs in so that I can paw through and enjoy them. Only one problem....my cats like to paw through there as well. 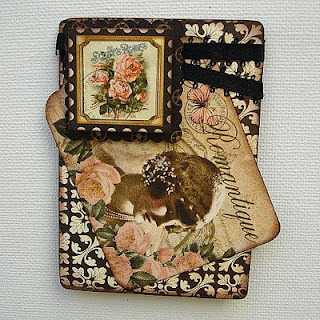 Swirlydoos carries this fabulous ATC Tin by 7 Gypsies. It is a perfect place to keep all of your treasured ATCs safe and within arms reach. Another bonus is that this tin is completely alterable! 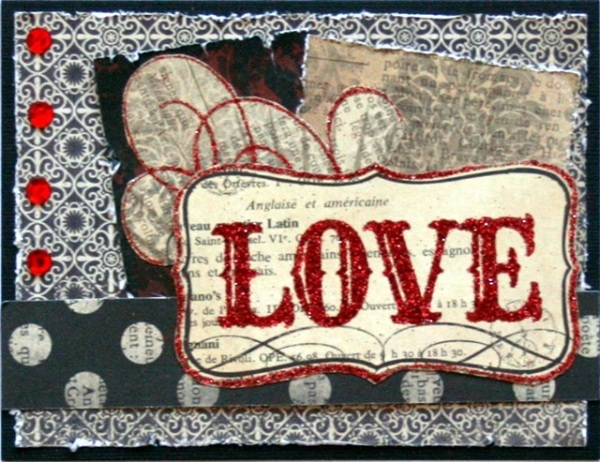 Here are some stunning ATCs that were made by our members!